Mountain View Bank of Commerce has two branches in Colorado and more than 25,000 free ATMs nationwide through the MoneyPass network. Its small business offerings include business savings and checking accounts, lending, and remote deposit. Mountain View Bank of Commerce is rated A+ by the Better Business Bureau and five stars on Facebook. Ready to get started with Mountain View Bank of Commerce business checking? Apply now. Mountain View Bank of Commerce has two branches in Colorado: Westminster and Boulder. It is also part of the MoneyPass network, which provides its customers access to more than 25,000 fee-free ATMs nationwide. You can use its branch locator to check which location is closer to you. 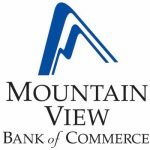 Mountain View Bank of Commerce also offers the following business services: business savings and money market accounts, business loans, commercial real estate financing, and Small Business Administration funding. Currently, it does not offer business credit cards or wealth management. Find out more about its small business offerings on its website.